40 year old female with painful left bunion. 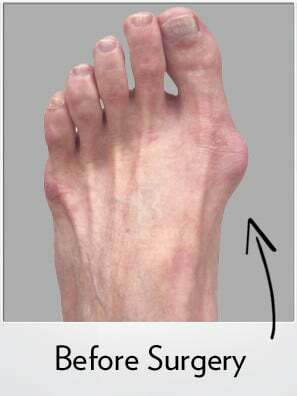 Bunion surgery photos before and after (postop) illustrate good correction and alignment. 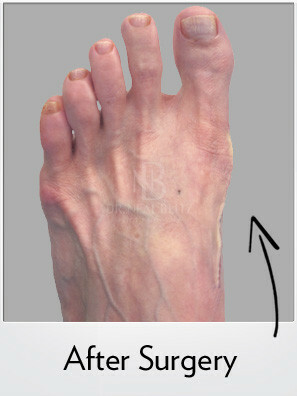 This patient underwent a Bunionplasty procedure (Lapidus with Contours Lapidus Plating System) by Dr. Neal Blitz. She was immediately walking on her foot in a small surgical shoe. NO NEED FOR CASTING OR CRUTCHES.